Can I become a member? How do I sign up to be a member? 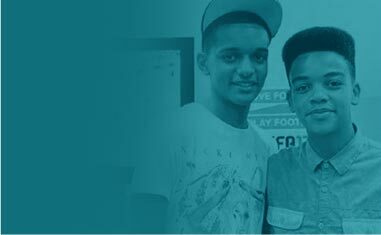 If you are aged 8 – 19, or up to 25 for those with additional needs, you can be a member of Manchester Youth Zone. To sign up, you will need to complete a membership form. Download the application form or pick one up from reception. Anyone under the age of 16 must have their membership form signed by a parent or guardian. Do I have to live in Manchester to be a member? Nope – anyone aged 8-19 (or up to 25 with additional needs) can become a member, where ever they live! It costs £5 for annual membership and 50p for every visit. Details of our activities are available here. Almost all activities run each night. Can my child leave the centre unsupervised? Young people under 13 years old cannot leave the centre unsupervised unless a parent or guardian has completed a “Consent to Leave” form (available at reception). Our behaviour policy can be downloaded here. 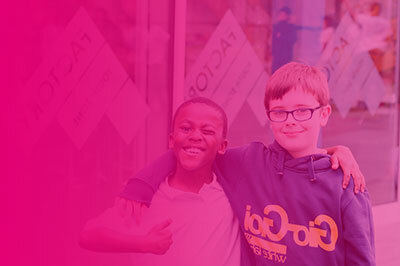 We do our best to ensure that all young people are safe at Manchester Youth Zone. We operate a closed door policy for all under 13’s which means these members can not leave the building without a parent or guardian. Should a parent/ guardian wish to allow a member under 13 to leave unsupervised, a “Consent to Leave” form is available from reception. All staff and volunteers receive safeguarding training. Our Safeguarding Officer deals with all concerns about young people and takes necessary steps to ensure their safety. Staff are trained in Team-Teach, a method of dealing with challenging behaviour that promotes de-escalation and the reduction of risk and restraint. It also supports teaching, learning and caring through increasing staff confidence and competence. Team-Teach has been awarded a National Training Award and is widely used. Our sessions are closed to the general public. On sessions, every young person in the building is a registered member and all adults are staff, volunteers or supervised guests. We have links with local PCSO’s and we do our best to make sure young people are safe in the area surrounding MYZ when they leave. Do you have a safeguarding policy? Who do I need to talk to if I am worried about the safety of a young person? Any matter relating to the safety of a young person is dealt with by the Safeguarding Officer, James Dronsfield. James can be reached via email or you can call 0161 203 5333. Do you have a complaints policy? What do you do with clothes or other items of lost property? We keep lost property for one month after it has been collected in the hope it will be claimed! You can call, email or ask in person if you think something has been left at MYZ and someone will check for you. Do you accomodate young people with additional needs or disabilities? 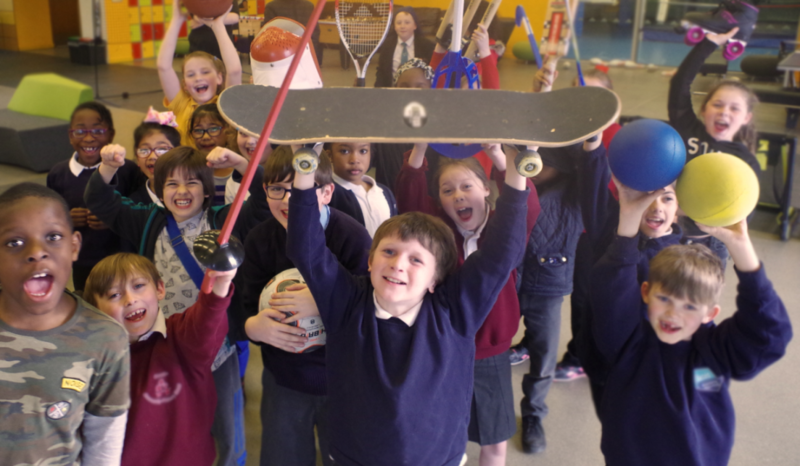 We are a fully inclusive centre for young people of any ability. Although we can not provide 1:1 support, we offer young people with medium to high needs the chance to take part in Enhanced Inclusion sessions and membership is extended up to the age of 25 for these young people. Do you provide 1:1 support for young people with additional needs or disabilities? We are unable to provide 1:1 support during our usual timetable. We do try and support young people who require extra help by inviting them and their parents/ carers to meet with our Inclusion Manager to discuss a plan for their time at the centre. More information can be found here. Is the Youth Zone wheelchair accessible? Yes. The centre is purpose built to be fully wheelchair accessible. Can I volunteer? What if I have a criminal record? Anyone can apply to be a volunteer. To sign up, fill out a Volunteer Application Form (also available at reception) and return it to Amanda, our People Manager. She will call you to discuss how you want to get involved and will give you information about interviews. We do not discriminate against people with a criminal record, however, our priority is the safety of our members. As such, anyone with a criminal record is invited to take part in a tracing interview which gives an applicant the chance to explain their record and what positive changes they have made. A decision will be made on the same day as to whether to move forward with the application process.